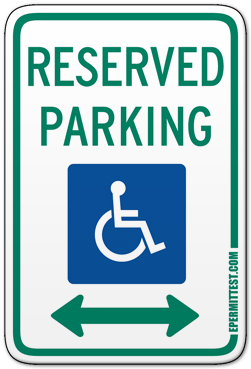 This signs marks areas where parking is reserved for disabled drivers. When parking in the space marked by the "RESERVERD PARKING" sign, a special parking placard or authorized registration plates must be displayed on the vehicle. Take a free drivers education course!